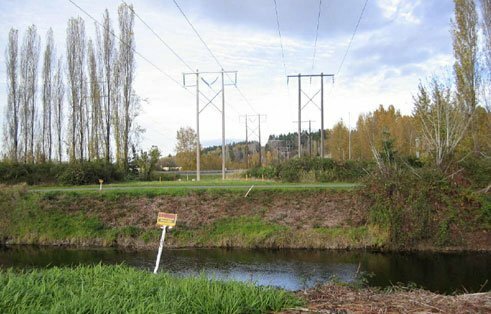 GeoEngineers provided impact analyses and restoration measures for dozens of wetlands, critical areas and river/stream crossings for this electrical line transmission project. GeoEngineers created a collection of GIS maps showing critical areas and geologic hazards over the entire route. The project crossed 34 miles of varied terrain. GeoEngineers applied GIS advances and navigated a regulatory and permitting maze to advance a complex utility project. 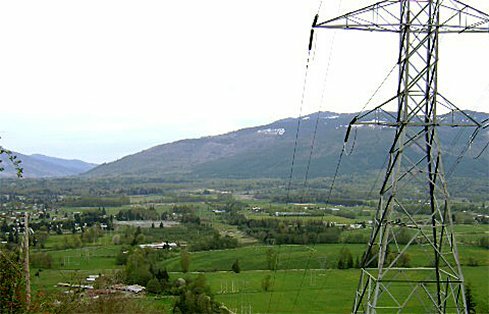 GeoEngineers provided a full range of biological and geological permitting support services to upgrade 34 miles of electrical transmission line with fiber optic cabling. The magnitude of this project—which included nine jurisdictional authorities—required more complex permitting documentation and agency coordination than usual, as well as robust Geographic Information System (GIS) database capabilities to manage the volume of collected data. GeoEngineers’ permitting specialists worked with the regulatory agencies involved to approve the use of handheld GPS units to delineate the wetlands and streams. Our team of biologists and geologists identified, documented and provided impact analysis and restoration measures for a total of 38 wetlands, 41 streams and numerous steep-slope, landslide and erosion hazards along the project corridor. GeoEngineers prepared final permit documents and associated critical areas reports for each regulatory jurisdiction. 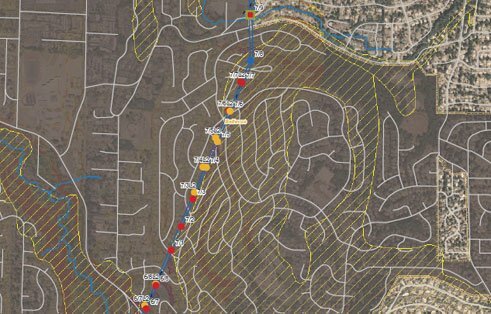 We assisted with construction access route design and developed Temporary Erosion and Sediment Control (TESC) details and other measures to limit impact on critical areas. GeoEngineers facilitated project collaboration through a secure website that displayed the proposed route, environmental conditions surrounding the route, and regulatory jurisdictions involved, and provided access to technical documents and status updates in real time. GeoEngineers obtained permits and approvals for this large project within approximately 12 months from the start of the regulatory review phase, enabling the construction schedule to proceed without delay. Handheld data acquisition resulted in significant cost savings, since it eliminated the need to hire surveyors to map the critical area boundaries. Approvals or permits included SEPA Checklist or exemptions, clear and grade applications, shoreline permits, critical area exemptions, conditional use applications, site development permits and Section 10 approval through the United States Army Corps of Engineers.